This beautiful cross has a Crystal CZ Stone that looks like a real diamond. 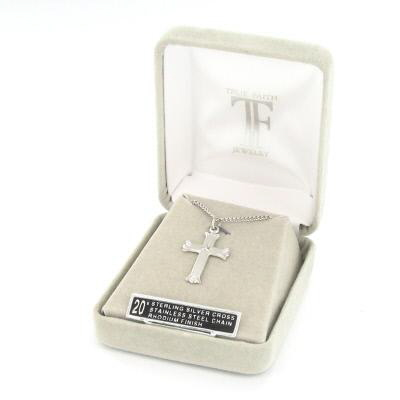 The cross necklace has a high polished rhodium finish. It will maintain it's quality finish for year's to come. A perfect gift for First Communion, Confirmation or any special occasion. As all our quality jewelry it is delivered in a velour gift box.